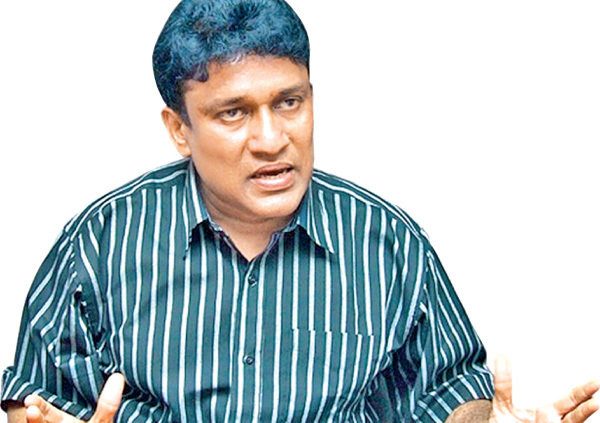 As the drafting of the new Constitution remains a priority of the government in 2017, National Co-existence Dialogue and Official Languages Minister Mano Ganesan in an interview with the Daily News said the four parties: Tamil Progressive Alliance (TPA), Sri Lanka Muslim Congress (SLMC), All Ceylon Muslim Congress (ACMC) and Eelam People's Democratic Party (EPDP) too have come with their own draft proposals to be discussed. He has insisted that the currently proposed mixed system be done away with and replaced with a fairer system for minor parties. “They are trying to take away the one-man dictatorship and replace it with a two party dictatorship," Ganesan said. Q. What has been the view of the minority parties with regard to the new Constitution making process? A. The Tamil Progressive Alliance (TPA) (where I am the leader) which consists of the Upcountry People’s Front, Democratic People’s Front and National Union of Workers (NUW), the SLMC, ACMC and EPDP- the four parties represented in the Steering Committee have got together and started discussions to produce a common paper. We have a draft now. Q. This is in addition to the six sub-committee reports? Q. Do you think the reports have not adequately addressed minority rights? A. No, they have, but they are coming from a general perspective, we put forward the view from our parties. A lot of input is forthcoming from all over, even the Public representations were put through Lal Wijenayaka’s report. Q. What are the differences between your draft paper and the sub-committee reports? A. We have discussed seven main points of power sharing, Executive Presidency, territorial integrity, language, religion, national anthem and electoral reforms. Q. When you talk of power sharing, we also have the sub-committee report on Centre and Periphery relations where they do recommend certain changes such as making the post of governor nominal and giving more powers to chief ministers. What are your views? A. we agree to most of the proposals in sub-committee reports. In addition, we have some views. We mostly talk of the dispersed minorities living in the Central, Western, Sabaragamuwa and Uva provinces. Almost 65 percent of the Muslims live outside of the North and Eastern provinces. We are living in various pockets; in certain areas, we are dense, but in most areas, we are living with the Sinhala community. We live in dispersed formation. Only in Nuwara Eliya, the Indian Tamil Community is living in higher numbers. We have taken this into account. Our proposal is based on the Pradeshiya Sabha (local government) format in rural areas. In urban and semi urban areas, there will be urban and municipal councils. We are mostly concerned with rural areas. Our opinion is that there should be a Pradeshiya Sabha for 25,000 people. No Pradeshiya Sabha should exceed that limit. In the Eastern and Northern Provinces, there are Pradeshiya Sabhas for about 7,000 people, while in Nuwara Eliya, there are over 200,000 people in the Ambagamuwa Pradeshiya Sabha. It is unfair. That is the basic unit for power devolution. A Pradeshiya Sabha will be established in the divisional secretariat area as a norm. Q. You are asking to increase the number of Pradeshiya Sabhas? A. Yes. A Pradeshiya Sabha should have 25,000 people and not more. It is then that government services will reach the people. If you have more people, it is difficult to administer. In this format, republican democracy will prevail in the country. In addition to this, when it comes to power devolution, we have proposed a second chamber in Parliament. Its main role is to review the laws passed in the first chamber. It won’t have the right to cancel the law, but will review and ask Parliament to check it again. That will have 36 members. Out of 36, 18 will be Sinhalese, six Sri Lankan Tamils, six Muslims and six Tamils of Indian Origin. So, 18 majority and 18 minority, that is the safeguard we have to review the laws. This won’t be for all the laws. Q. This is something even the Prime Minister has proposed? A. Yes. He has spoken about it, but he hasn’t spoken about the composition. That’s what we have proposed. Q. Going back to the Pradeshiya Sabha and power devolution, you speak of a dispersed minority, so will you also be wanting a minority quota when appointing members? A. Our people are not concentrated in large numbers, maybe 25,000 or so, wherever you have that, you have a Pradeshiya Sabha. We say “Divisional Secretariats shall be demarcated wherever possible, for the Communities of Interest (CoI), whether racial, religious or such other like interest, but differing in one or more respects from "the majority of the citizens” and being minorities in that district and/or province, as the case may be”. We got this sentence from the Donoughmore Constitution. Q. In that sense, if there are 25,000 people, you want a member representing the majority race in that group represented in the Pradeshiya Sabha? A. Yes. In Sinhala dominated areas, that is the case, we are just asking for that in the Tamil and Muslim areas. People talk of federalism and district councils, but we are not talking about that. We are talking about the grass roots level of government. Q. In that case, we won’t need Federalism if we have more minorities at the grassroots? A. Our proposals are not for federalism, but I cannot answer that. We are talking of dispersed minorities, not talking about the Sri Lankan Tamils in the North and East. Their realities are different from ours, we cannot expect them to take our proposals and at the same time, their proposals cannot be put to us here. Everyone has their own proposals. Q. Then we have the Executive Presidency, the SLFP Central Committee has asked that it be kept. What’s your stance? A. We don’t want to call it Executive Presidency. We want the President to be elected directly by the people. Presidential powers shall be answerable to Parliament and the powers of the President shall be as per the original proposals of the 19th Amendment. The original proposals were not passed because certain clauses were not acceptable, but we want to go back and have the President be held more answerable to Parliament. The President’s tenure should be five years. There should be a fixed date for Presidential elections. The President should not hold any other portfolio apart from Provincial councils and Defence. Q. You have not asked for the abolishment of the Executive Presidency? A. No, we have changed our stance. Prior to the last Presidential elections, minority parties have thought that the Executive Presidency was favourable to us, because at least after six years, they come to us to form a government. But when the whole country was against it, we thought we should not be a hurdle and went with what the country wanted. But now we see that the people who proposed the abolishment are also against it, so why should we worry about it? We thought we might as well go back to our earlier stance. Q. You change your stance based on the direction the wind blows? A. No it is not that. This was our original stance. The reason is that electoral reforms are coming. That is not favourable to us. It favours majority parties. When we spoke to the UNP and SLFP, both unanimously say that when there is no Executive Presidency, the country will be unstable. The majority parties have to have more power and seats to maintain stability. In the name of stability, they are trying to rob the fair opportunities of the minority parties. Hence, we thought it was better to keep the Executive Presidency; at least part of it and reduce its powers. At the same time, we need to have electoral reforms in a fair manner. Q. What are your other proposals? A. We have proposed that ‘Sri Lanka be known as “United Republic of Sri Lanka”. United, not Unitary. Sri Lanka will consist of nine provinces. In the current Constitution, there is no reference to provinces, only districts, so we want this to be included. When we come to language, we ask that Sri Lanka shall be written, stated and known as “Sri Lanka” in all three languages, namely Sinhala, Tamil and English. The Constitutional clauses amended by 13th and 16th Amendments relating to the subject of languages shall continue to prevail and the current format of Article 18(1) shall be amended and shall read as “Sinhala and Tamil shall be the Official Languages of Sri Lanka”. At present, 18 is the language clause. 18 (1) says that Sinhala will be the official language of Sri Lanka. 18 (2) says that Tamil will also be another official language of Sri Lanka. We don’t want that second sentence, we want both put in one sentence. The other proposal is on religion. We ask that the clause relating to the subject of Religion shall read as “The Republic of Sri Lanka shall give Buddha Dharshanaya, the foremost place and accordingly, it shall be the duty of the State to protect and foster the Buddha Sasana, while assuring to all religions the rights granted by Articles 10 and 14(1)(e)”. Right now, it is Buddhism, so we asked that it be changed to Buddha Dharshanaya (vision). Q. What’s the difference between the old clause on Buddhism and this? A. At present, it says that the State should give Buddhism foremost place and then in the next clause that all other religions also should be given equal protection. Those two contradict each other, no one has gone to courts over this. What we are saying that we will upgrade the clause from Buddhism to Buddhist Darshanaya which no one has a problem with. The Buddhist vision is applicable to all, there is nothing wrong there and those following other religions will also be happy with it. Then we have national anthem. The clause relating to the subject of National Anthem shall read “The National Anthem of the Republic of Sri Lanka shall be "Sri Lanka Matha" in Sinhala language and “Sri Lanka Thaaye” in Tamil language as per the words and music of which are set out in the relevant schedules. Finally, electoral reforms. We have proposed a system called zonal electoral systems. This is similar to the idea in the 14th Amendment. This was proposed earlier. At present, we have 24 electoral districts in the country. This has to be increased and called zones. We have proposed that there should be at least 50 electoral zones in the country. The number of Parliament seats will be increased to 245 from 225. There will be 215 from electoral zones and 30 from the national list. The main reason given for a new system is that the preferential voting system gives room to intra-party and inter-party violence and commotion. A district needs more expenditure. There’s absence of accountability and when the MP has to cover a large area, he/she is not directly connected to voters. But the new proposals are unfair by the minor parties, not minority, but minor parties. Other than the UNP and SLFP all are minor parties. They are trying to take away the one-man dictatorship and replace it with a two party dictatorship. In what we propose, if you take Colombo district, it would be divided into three zones. Every zone will have about six MPs each. Ultimately, our target will be achieved as the area is smaller and less people would be contesting each other. This is easier to implement even with the current system. Q. But you would still have the preferential voting system? A. Yes. We can do away with it if people want, that can be discussed further. Q. But if you want this system, you will have to start rolling it out before the next local government elections? A. Yes. And we want the same system practiced at the Parliamentary, Provincial Council and Local Government elections. The current laws should be dismissed. Q. This is no different to the First-Past the Post system though it has the preferential voting system. Except that, the zones are of a bigger area? Q. But the main objection was against the Preferential Voting System. There will have to be a compromise here? A. Yes. But we have reduced 21 candidates fighting each other to five. Whether it is electoral system, power sharing, territorial integrity, language or religion, we will have to compromise at some point. We can’t eat the cake and have it. Q. When talking of electoral reforms, at the recent party leaders’ meeting with the Prime Minister, it was reported that all had agreed to go with the new system for the local government elections? A. That report is wrong. We have no such agreement. The Prime Minister never said that, it was reported wrongly in the media. The Prime minister said, ‘let all the parties decide’. He remained silent most of the time anyway and got his party secretary Kabir Hashim to speak. The new system has more problems, apart from delimitation, the law itself needs to be changed. According to the elections commissioner, there are 54 areas which need to be changed, it is no easy task. Q. With all these demands, do you think the Local Government elections will be delayed further? A. If they accept our system, the local government elections can be held soon. No issue. Even other parties like the JVP will agree. What was discussed up to now was the draft circulated among the four parties I mentioned earlier. It has to be agreed on.